Zionist Union chairman reportedly offered former IDF chief of staff to lead the party in his place, but Gantz turned down the offer. 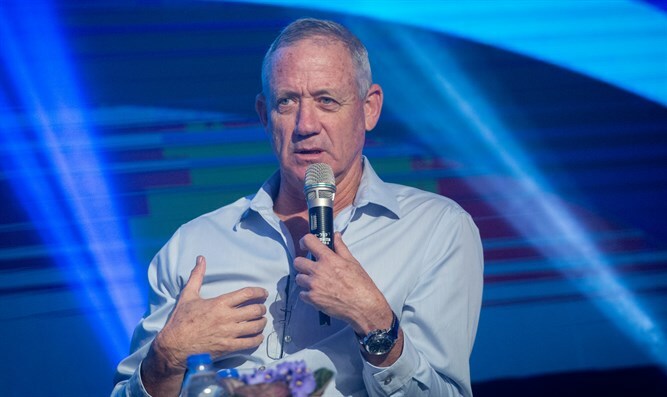 Avi Gabbay, chairman of the Zionist Union, offered former IDF chief of staff Benny Gantz the leadership of the Zionist Union in his place, but Gantz turned down the offer, Channel 10 News reported on Tuesday. The Zionist Union said in response: "Avi Gabbay is the chairman of the Zionist Union and the candidate on its behalf for prime minister. Today it is clear to everyone that the upcoming elections are between Avi Gabbay and Binyamin Netanyahu and we will win." Gantz has long been rumored to be leaning towards establishing a new party under his leadership rather than joining an existing party. However, reports on Monday indicated that he may not be able to form a new party in time for the April 9 elections and will be forced to join an existing party. Meanwhile, a Channel 10 News poll published on Tuesday found that the Likud party maintains its strength with 30 seats, with Yesh Atid behind it with 15 seats. If Gantz decides to run, his party will win 15 Knesset seats, with Likud winning 27 seats, according to the poll. The Joint List stands at 12 seats, similar to the Zionist Union, which maintains its strength. The Jewish Home party also maintains its strength with ten seats. The new party of Orly Levy-Abekasis rises from five seats to eight, Meretz drops from eight to seven, and Yisrael Beytenu rises from five seats to seven. The two haredi parties also record gains: United Torah Judaism rises from six Knesset seats to seven and Shas from four to six, while the Kulanu party of Finance Minister Moshe Kahlon falls from seven seats to six.